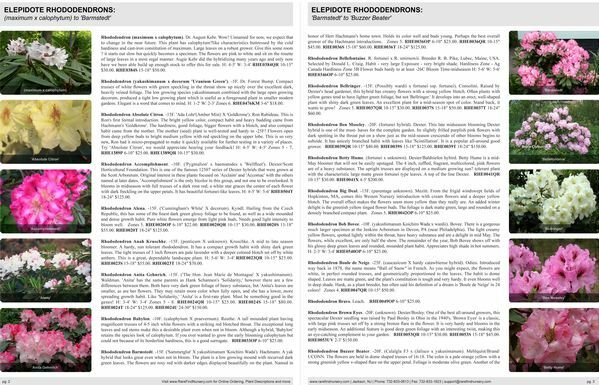 This page style places images and header and footer information on the outside of the page so when it's printed, the combination of left hand and right hand pages creates a nice spread. See next image for an example. This shows the combinate of the left and right hand pages to create a great catalog spread. 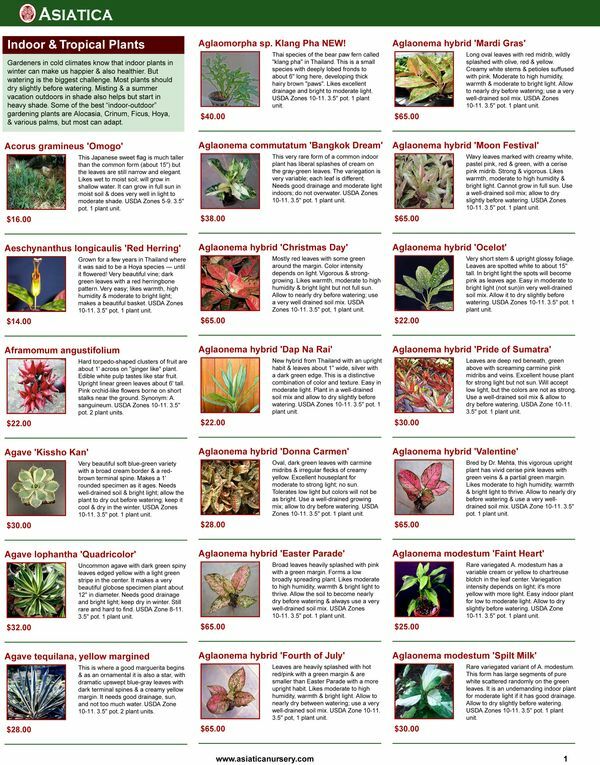 This page style has up to 27 plants per page, each with a small image. 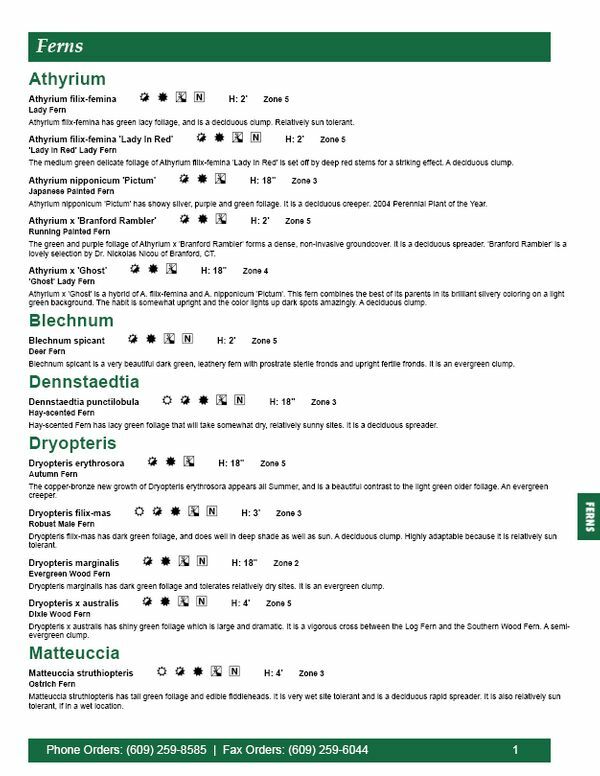 This page style has 8 plants per page, each with an image and icons for the primary characteristics. 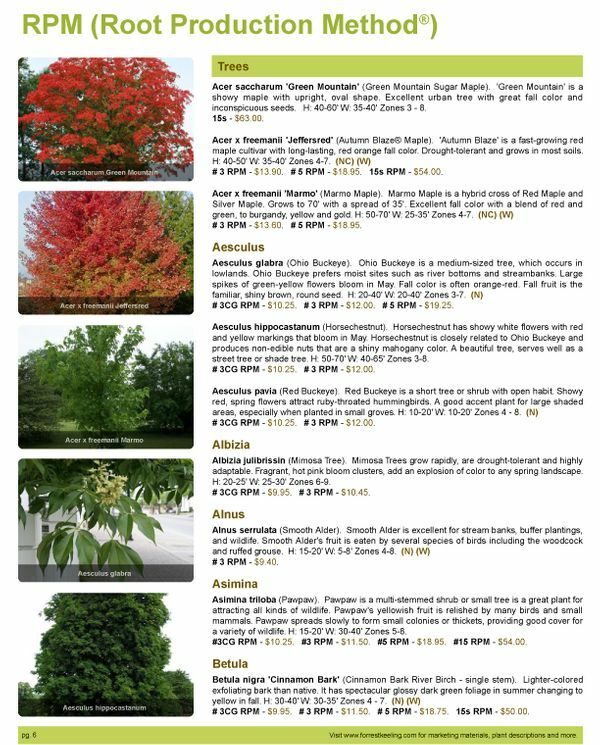 This page style represents much more of a plant list vs. catalog page as there are no images included. 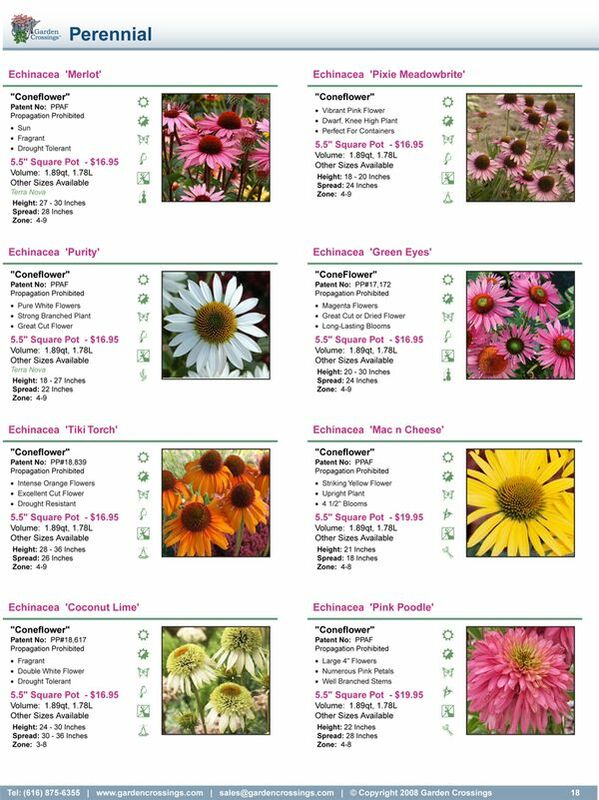 With Catalog Wizard™, you can quickly create custom catalogs from plant or product data you have entered into an online Clarity Console™ database. Enter and update information until the last moment - right before you click "Make My Catalog"
We have a number of standard page styles to select from, or we can create a custom page to meet your specific requirement. You can find out more at www.CatalogsFromDatabases.com or by contacting us. This design has 8 plants per page with an image for every plant.